Apologist Zacharias joins Alister McGrath, John Lennox, and others to show Christians how to defend their faith and be transformed by it. 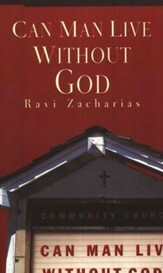 Addresses topics including the process of spiritual change; the challenges posed by atheism, youth, science, and Islam; existential questions of evil and suffering; the validity of the Bible---and the hypocrisy of its followers. 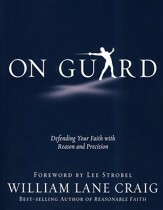 384 pages, softcover from Nelson. 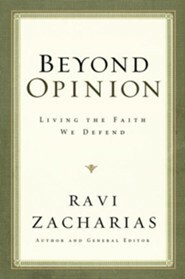 Ravi Zacharias is the Founder and President of Ravi Zacharias International Ministries, headquartered in Atlanta, Georgia, with additional offices in Canada, Hong Kong, India, Singapore, the United Kingdom, Austria, South Africa, Spain, and Turkey. Zacharias and his wife, Margie, have three grown children. 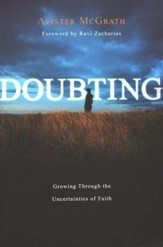 He is the author of many books, including Can Man Live Without God and Why Jesus? 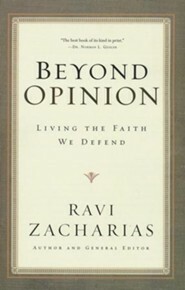 I'm the author/artist and I want to review Beyond Opinion: Living the Faith We Defend.